Washing your face properly is one of the most important things you can do as a woman and if you are over 50 and have mature skin then you will know that finding the best face wash for your skin can help you immensely. It is definitely easier to wash your face thoroughly when you are young and your skin is firm and tight but as we get older and our face develops more character this becomes a little more difficult. When I say that my face has more character now, other people would probably say wrinkles but I like to say character. But unfortunately we all know I mean wrinkles. On a side note, there are many good products you can use to help reduce wrinkles. Anyway back to the topic. Wrinkles or not, we as older women still need to wash our face and I intend to share with you in this post my thoughts and recommendations on the best face wash products for older women over 50, that they can use for their different mature skin types to give them the best clean. No matter whether your skin is oily, dry or combination it is so important to make sure that you wash it effectively. I probably don’t need to say it but this is skin care 101 – keep your face clean! The cleaner you can keep your face the less problems you will have with oil and grime and breakouts. Unless your hands are clean and/or you are applying makeup, don’t touch your face! Even if your hands are clean, I would still advise not to touch your face. Even when we think our hands are clean they most probably still have oil and bacteria on them that is potentially going to undo the hard work we have put into caring for our skin. If you’re going to go to the effort of washing it properly then we don’t want to ruin it. I guess you also don’t want to wreck your beautiful makeup either, once it has been applied. 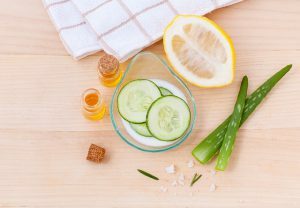 As well as keeping our skin clean, another fundamental part of skin care that is particularly important for older women is making sure that we keep our skin hydrated. As we become more mature and develop more character in our faces it is easier for it to become dry. Even women that have never had any issues with dry skin in their younger years may find that they start to experience dry and flaking skin as they start to age. Considering this, it is important to try and choose a face wash that will not dry our skin out any more than it already may be. Did I say this already? That is another part of getting older – sometimes we forget things. However in this instance it is not that I forgot what I said, it is that it is so important that I need to say it again. Keeping our skin clean keeps dirt and grime out of our pores and can help prevent dry skin and breakouts. Washing our face and keeping it clean is one of the easiest ways to care for our skin, especially if it is a bit older and more mature looking. So, because keeping your skin clean is so important, I aim to help you choose the best face wash for your skin type that can help you keep your skin as clean as possible in the best and easiest way. I feel so blessed to have what most people would call normal skin. In the winter it can get a bit dry and occasionally I will suffer from a breakout but for the most part it is pretty stable and for this I am just so thankful. When it comes to washing my face I like to do it well because no matter how good your skin is, if it gets dirty you will suffer from dryness, breakouts and your skin will become aged more quickly. 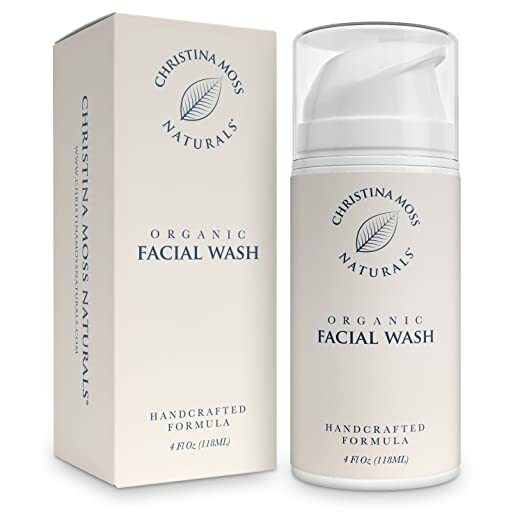 I think that one of the best face washes for women over 50 with normal skin is the Christina Moss Naturals organic face wash. I love this product for so many reasons – number one is because it cleans really well. My skin always feels so clean after using this and another thing I like is that a little bit goes a long way. Even though it is all natural it easily seems to remove all of my foundation and concealer, and being all natural and organic it smells great too. It’s not the cheapest product but like I said a little bit goes a long way and I think it is worth it anyway. 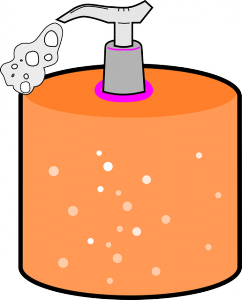 Now for you older women with dry skin,you will probably want to be a bit careful with face wash. You don’t want anything that is going to dry your skin out any further, but you still want something that is going to actually remove any dirt, oil, grease, foundation etc. This is a delicate balancing act between being strong enough to clean your face but not so strong that it strips everything and dries out your skin. 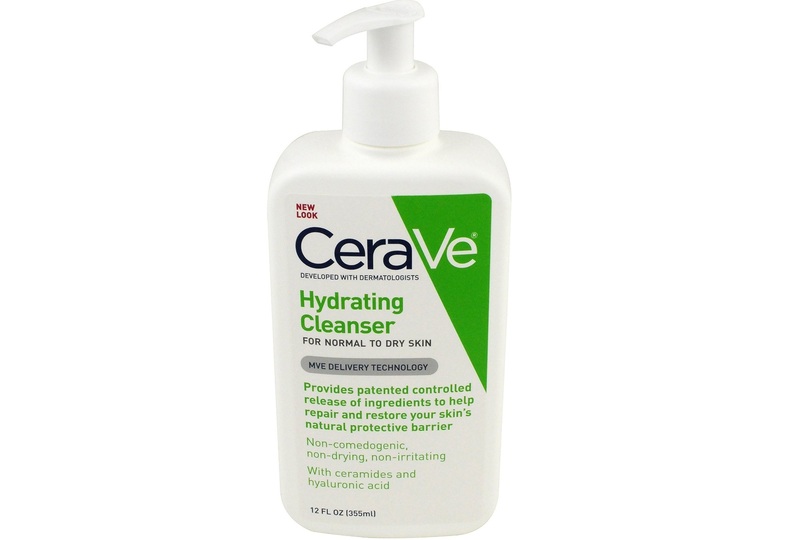 I think that the best type of face wash product for women over 50 with dry skin is a hydrating cleanser, such as this one from CeraVe. This is a good face wash for dry skin, it will clean your face without drying it out. I have heard some people say that it has made them break out more but that is generally younger people and for older women with dry skin this product is a good match. The best part is that it is actually pretty cheap, so that’s a bonus too! When you have oily skin, you will be all too aware that washing your face properly is extremely important, and not washing your face properly has nasty ramifications. I would say that the worst of these would have to be breakouts. One of the biggest enemies a woman can ever have. In order to prevent this and try to stop your face becoming too oily you should use the best face wash you can find for your skin. 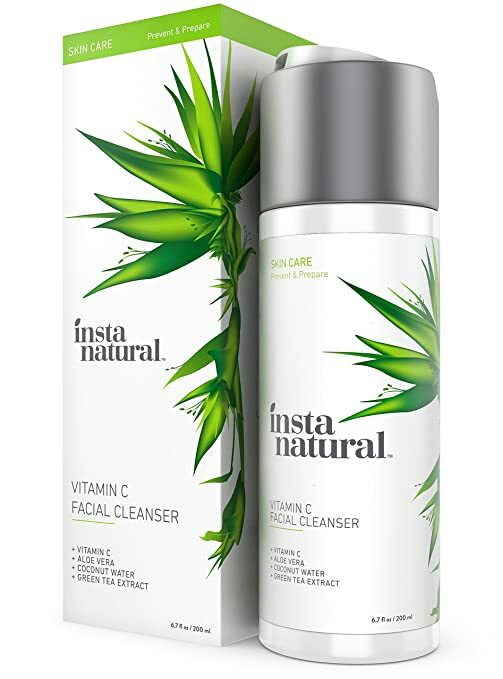 I am lucky enough that I rarely have to deal with oily skin so I don’t profess to be an expert by any means but I have heard a lot of good things about the InstaNatural Vitamin C Facial Cleanser. Apparently it is quite gentle and won’t give you break outs which makes it great for sensitive skin too. People love the smell of it and also the consistency as it lathers up nicely with a little water. And most importantly, it works to wash off makeup and any other dirt and leaveds your skin feeling nice and soft. Mary, what if I have combination skin, you say? Well unfortunately I can’t help to change your skin type but I think I can actually help you by showing you what I think is easily the best face wash for older women with combination skin. The Clarins Gentle Foaming Cleanser is a product that is purported to be (by Clarins) “As gentle as cleansing milk and as effective as soap”. Marketing BS, you say. Well, while these words were no doubt contrived by the marketing department of Clarins it seems they are all too true. This face wash can remove dirt and makeup as just well as soap but is so much nicer on your face it’s not funny. By all reports it thoroughly cleans your oily areas and hydrates your dry spots. Clarins are known for their high quality skin care and cosmetic products and the gentle foaming cleanser is no exception. Thank you for reading through my ramblings regarding The Best Face Washes for Women Over 50 with Mature Skin. I hope you got something out of it. If you have anything to add I would love to hear from you either through my Facebook, Twitter or Google + pages, or also please feel free to leave a comment below. Thanks again for reading and have a great day! Mary, your website is very eye-catching. The information you provided about the importance of skin care was very thorough. It was great to see your suggestions for each type of skin; normal, dry, oily, and combo. It’s great to see that you are part of the Amazon LLC Associates Program. I am definitely interested in doing this myself.